Widely publicised claims have been made in the scientific and popular media that scientists have found positive proof for Noah’s Flood at the edges of the Black Sea. Details of the find are examined and the claim compared with the record of Noah’s Flood in the Bible. The geological finds in the Black Sea suggest that the water rose some 150 m relatively quickly to the present sea level several thousand years ago. However the claim that this represents Noah’s Flood is unfounded speculation and wrong. Not one characteristic of this Black Sea flood matches the Flood of the Bible. The evidence is consistent with a local post-Flood catastrophe around 1650 BC at the close of the Ice Age. This is surprising considering these sources are usually sceptical of the Bible and disparage creationists who accept literally the Genesis record of Noah’s world-wide flood. Why the sudden change of heart? The two scientists in question are geologists Bill Ryan and Walter Pitman of Lamont-Doherty Earth Observatory in New York, who have published evidence for a large local flooding of a huge area around the Black Sea (Figure 1).10,11 What has made the news is their linking this local flood to the record of Noah’s Flood in the Bible. This is the conjecture that has caught the attention of the scientific and popular media. Let’s have a closer look at the claims surrounding this speculation. An abrupt drowning of the Black Sea? Evidence that the Black Sea rose rapidly to around its present level emerged from a joint Russian-US expedition in 1993 that surveyed two areas of the shelves (rectangles in Figure 2).10 If the sea level had risen slowly over thousands of years, then the rivers would have deposited a wedge of sediment on the shelves as the shoreline gradually transgressed across the land. However, core samples and seismic images of the layers of sediment revealed a thin, uniform drape of fine, soft mud over the entire shelf, consistent with a sudden rise in water level (Figure 3). The strata below the mud layer were truncated by erosion, well compacted, and contained abundant leafy plant material, freshwater shells, cracks, and roots, suggesting a coastal marsh environment adjacent to a freshwater lake. A thin layer of shell hash was present between the mud and the underlying strata. This hash was composed entirely of bleached fragments of freshwater shells similar to species alive today in the fresher parts of the Azov, Caspian and Aral Seas and in river mouths in the area. The uncorrected 14C ‘ages’ of the shells from the lower consolidated strata and the hash ranged from 14,700 to 8,250 years before present (ybp). The ‘ages’ of shells in the upper mud layer were much younger, clustering around 7,150 ybp. All this suggests that in the past, the Black Sea was an isolated freshwater lake at least 110 m below its present level. The shelves were former terrestrial flood plains with meandering rivers, coastal deltas, coastal marshes and wave cut beaches. At 7,150 ybp (uncorrected radiocarbon ‘age’), there was a sudden rise in water level submerging the former broad land surface by saltwater. Ryan et al. linked the catastrophic filling of the Black Sea with changing sea levels toward the end of the Ice Age. Water from melting ice sheets to the north flowed into the Black Sea, which was isolated from the Mediterranean by a land ridge across the Bosporus. Continued melting of the world’s ice sheets raised the level of the Mediterranean until it eventually topped the Bosporus, gushing catastrophically into the Black ‘Lake’ and rapidly turning it into a salty sea. In the process, the force of the cascade excavated the flow channel through the easily eroded bedrock. Indeed, they argued that these channels are so deep that they could only have been eroded by rapidly flowing water. Every day, more than 50 km3 of water gushed through the channel, inundating a couple of kilometres of Black Sea shoreline. The rate of advance of shoreline would have been less in areas of higher relief. The permanent submerging of some 100,000 km2 of exposed continental shelf would obviously have displaced the inhabitants of the area. The suddenness of the inundation meant that dwellings would have been abandoned and significant populations needed to find alternative home. Ryan et al. speculate that this event may have accelerated the dispersal of human populations into Europe. If the level of the Black Sea had risen rapidly and people were displaced in days and weeks, then some signs of human habitation may still exist beneath the water. The idea of a sudden inundation of the Black Sea has captured the imagination of a number of archaeologists already working in the area and they subsequently incorporated the search for ancient habitations into some of their projects. Evidence for human habitation would include hearths, pottery and other artefacts. It may even be possible to find building material such as mud bricks, provided these could have survived millennia beneath the water. Near the ancient shoreline people may have left behind mounds of clamshells. In deeper water some 37 km offshore from Sinop, Ballard claimed to have located what he believed to be the ancient shoreline of the freshwater lake some 155 m below the surface as postulated by Ryan and Pitman. Based entirely on a sonar image of the sea floor, he described the profile as ‘the classic beach profile: The flat shore area, the beach berm leading down to the old water level, and a sand bar just offshore. It looked like any beach, anywhere on Earth—except it was under 550 feet of water!’ Not a bad description from a sonar image! Unfortunately the expedition found no conclusive evidence of human habitation at this site either. Due to choppy waves and strong currents, the ROVs were unable to record anything on the sea floor. Nevertheless, a black pebble and some mud were collected from the exterior of the ROVs as they were hauled on board. In addition, some sediment samples were dredged from the area, consisting either of finely textured grey mud or sea shells. Some waterlogged wood, charcoal (possibly), and a shard of obsidian were also collected. Altogether seven species of saltwater molluscs were identified and yielded 14C ‘ages’ ranging from 2,800 to 6,820 BP. Two species of extinct freshwater molluscs were identified, similar to species found today in the freshwater Caspian Sea. These yielded much older 14C ‘ages’ ranging from 7,460 to 15,500 BP. In the final analysis, the expedition added very little to the previous geological findings on the opposite side of the sea. It confirmed that the bottom of the Black Sea in the Sinop area is also covered with a layer of wet, soft mud, and the waters changed from fresh to saline some 7,000 14C BP. Unfortunately the expedition found no evidence for human habitation beneath the waters of the Black Sea, but a further expedition is planned in 2000. Now, in real life, claims need to be justified. We can’t even use a credit card until we prove who we are. Banks want our signature because its unique characteristics are easily recognised. They want to be sure they have identified us correctly. So too, we need to be sure that Ballard, Ryan and Pitman have identified Noah’s Flood correctly. Of all the floods in the world, how would we recognise Noah’s Flood? We need to compare their signatures. And the Bible is the only place where the signature of Noah’s Flood is found. Unfortunately, when it comes to signatures, Ryan and Pitman have not carefully matched their characteristics with the Bible. Carelessly, they have given credit where it is not justified. Ryan and Pitman thought the Black Sea flood was Noah’s Flood because it was very large, overwhelming some 100,000 km2 of land the size of Texas. But large as this was, it was still only a local flood in the Black Sea area, not the world-wide Flood described in the Bible (2 Pet. 3:6–7). The biblical flood was so huge that it covered the then highest mountains (Gen. 7:19). But the Black Sea flood simply raised the local water level some 150 m to where it is now. Not even the ‘known’ world was submerged because there was still plenty of dry land left to live on in the area. Even to cover the nearby Krymskiye Gory mountains on the adjacent Crimean Peninsula, the water level would need to have risen a further 1,500 m. The Black Sea flood was not Noah’s Flood, because it did not cover the highest mountains. And missing from the Black Sea flood is Noah’s Ark—that colossal ship described in the Bible, 140 m long, 23 m wide and 14 m high (Gen. 6:14–16). Ryan and Pitman, aware of this omission, suggest that there were hundreds of arks—thrown together in a few minutes by local farmers ripping their post huts apart to build puny boats to escape the rising waters!16 But why would they have needed boats at all? With waters rising each day at 15 cm, and creeping only a couple of kilometres across the land, they could have escaped at a leisurely stroll. Because the waters rose so slowly, Ryan and Pitman say the people would have had plenty of warning. Once the farmers realised the water was not going to subside they would have built boats to escape.16 Wasn’t Noah warned about the Flood? Voilà, the Black Sea flood matches! Not at all. The Bible does not say Noah was warned by rising water levels. No, God warned Noah years before there was any sign of a flood (Gen. 6:13–14). Anyway, rising water levels would not have given sufficient time for Noah to build the huge Ark and load the animals. The warning that Ryan and Pitman make so much about does not match the warning in the Bible. With a local flood there would have been no need to save the animals and birds as the Bible records (Gen. 6:19–21). The idea of birds being threatened by the Black Sea flood is ludicrous because they could easily have flown out of the way. As for the animals, most would have migrated out of the area as the waters slowly crept onto the land. Even if some animals drowned, no species would have been threatened with extinction because other individuals would have lived outside the inundated areas. The Black Sea flood was not Noah’s Flood, because it did not destroy all the animals and birds as the Bible describes. Neither did the local Black Sea flood drown the people in the area—they were simply displaced from the land. Ryan and Pitman suggest that many of these displaced people migrated to Europe. But, the Bible clearly states that everyone outside the Ark perished, and ‘only Noah was left and those with him on the ark’ (Gen. 7:23). The Black Sea flood was not the Flood of the Bible, because the people were not destroyed. Nor does the source of water match. For the Black Sea flood, the water gushed sideways through a localised channel, but for the biblical Flood the water came from the fountains of the great deep and the windows of heaven—below and above (Gen. 7:11–12). The Black Sea flood does not match the record in the Bible. Not one characteristic agrees. And the Black Sea flood did not go down—that is why there are plans to look for settlements under the water. But the biblical flood receded off the earth while the Ark and its cargo rested on the Mountains of Ararat (Gen. 8:3–4). It was two months before Noah could see the nearby mountains emerge (Gen. 8:5) and another four months before the whole earth was dry enough to unload (Gen. 8:13–14). The Black Sea flood was not Noah’s Flood, because the flood waters have not receded. So, the signature of the Black Sea flood does not match the record in the Bible. Not one characteristic agrees. The differences are so great that we wonder why the proposal has been entertained at all. Clck here for larger view. How do they support their claim? Ryan and Pitman know that their link between their Black Sea flood and Noah’s Flood does not fit with the Bible. So, how do they justify their claim? Simple. They say that the Bible got it wrong. Their Black Sea flood was the real flood. The biblical record is a poorly assembled compilation of the flood legends that arose from their Black Sea flood. They claim it was their flood that was burned into the memories of surviving generations and recounted by word of mouth for thousands of years. After becoming more and more distorted, the stories were eventually written down. So by branding the biblical record a ‘myth’, they feel justified in disregarding all its details. They simply say that they do not read the Bible literally. So their link with Noah’s Flood is totally arbitrary. They need a flood, so presto, pluck Noah’s Flood out of the air. It is a good flood to pick, because it sells lots of books. Furthermore, the scientists love it. By saying that Noah’s Flood was a local flood they think they can dismiss the implications of the real global Flood described in the Bible, viz. that God judges human sin. But even their claim that the Black Sea flood is the basis for the flood legends does not make sense. Almost every culture on Earth includes an ancient flood story.15 Details vary, but the basic plot is the same. The classic example is the Babylonian epic of Gilgamesh, but there are flood stories among the ancient Greeks, Romans, Chinese and even the Irish.15 Although a long stretch of the imagination, it may be possible to envisage these legends originating from the Black Sea flood some 7,000 years ago. But what about the flood legends of the American Indians15 and the Australian Aborigines?17 The latter supposedly entered Australia 40,000 years ago, some 30,000 years before the Black Sea flood. Was there a good news service in ‘Neolithic’ times that carried the stories ‘down under’? Ryan and Pitman’s explanation cannot even account for the flood legends. It makes more sense that all the legends are corrupted memories of the true, world-wide Flood of Noah, as recorded in the Bible. If we accept that the Black Sea flooded towards the end of the Ice Age, we can link it with biblical chronology and the true history of the world. There is a good case for the Ice Age being post-Flood.18 Ussher’s chronology places the Flood of Noah at 2348 BC, and Oard suggests that the Ice Age took 500 years to reach its maximum and a further 200 years to melt back.19 (Remember these are estimates only.) Thus, the Black Sea flood occurred after most of the continental ice sheets had melted, thereby raising ocean levels and allowing the Mediterranean to overtop the Bosporus, some 700 years after the Flood. So, with the Flood at 2348 BC, the Ice Age peak would have been around 1850 BC and the melt back completed by 1650 BC at which time the Black Sea area flooded. The discrepancy between this and the published date of 5600 BC (7,600 years ago) for the Black Sea Flood is because the date of the Black Sea flood is based on 14C analyses. The problem is that the 14C dates have not been corrected for the increase in the atmospheric ratio of 14C/12C following the Flood. The sudden burial of masses of vegetation changed the balance in the carbon reservoirs on the earth, and equilibrium is still being approached. The corrected 14C dates would agree with the biblical date. Thus, the Black Sea flood is one of many post-Flood catastrophes that have occurred around the world (e.g. Siberian mammoths,20 Iceland’s mega-flood21). It is clear from the geological investigations that Ryan and Pitman have made a good case for a sudden drowning of the Black Sea Shelf thousands of years ago. The weight of evidence is compelling, even though clear signs of human habitation have not been found beneath the water, as one would expect. But their claim to have found Noah’s Flood is wrong—nothing but wild, unsubstantiated speculation. Not one of the characteristics of the Black Sea flood match the tell-tale signature of the Flood described in the Bible. And their assertion that the biblical record is just a corrupted version of flood legends derived from their Black Sea flood is both wrong and arrogant. Their claim does not explain how flood legends arose, especially those in places like America and Australia. 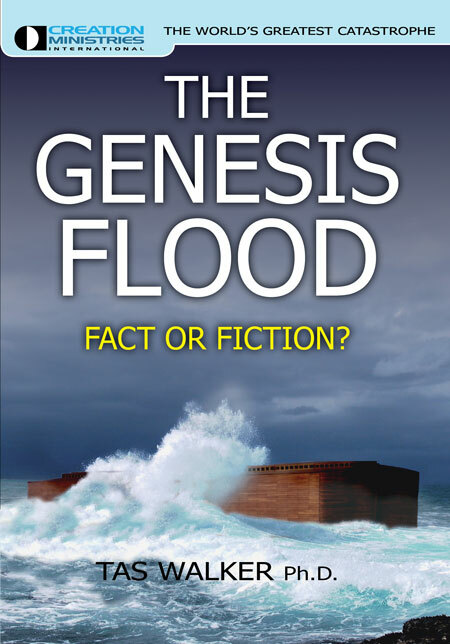 On the contrary, the flood legends are corrupted recollections of the one-and-only world-wide Flood, the true account of which is faithfully recorded in the Bible. Rather than Noah’s Flood, Ryan and Pitman have found evidence for a post-Flood catastrophe at the end of the Ice Age around 1650 BC. Why is there such a great interest in their claim on the part of scientific and popular media? Do they see this as another opportunity to discredit the Bible? Is it a tactical move to get the real Noah’s Flood off the agenda by wrongly identifying it? We can’t really know, but the overwhelming preoccupation with the idea that Noah’s Flood was a local flood in the Black Sea area is curious. So, the claim by Pitman and Ryan to have found Noah’s Flood is wrong. Nevertheless, they have probably sold a lot of books. Noah’s Flood, Archaeology and Anthropology Network, BBC Television, 1996. <http://www.bbc.co.uk/horizon/noah.shtml> 22 November 1999. Return to text. Mestel, R., Noah’s Flood, New Scientist 156(2102):24–27, 1997. Return to text. Gugliotta, G., For Noah’s Flood, a new wave of evidence, Washington Post p. A01, 18 November 1999. Return to text. Noah’s Flood: The geological evidence, The Australian Geologist 112:11, 1999. Return to text. Pockley, P., Noah had a great flood but where is his ark? 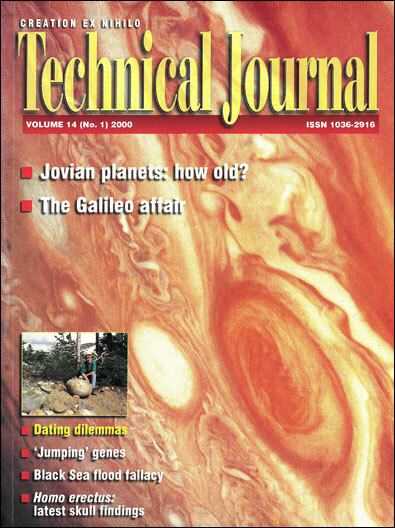 Australasian Science 20(10):21–23, 1999. Return to text. Scientists confirm a great flood, The Sunday Times, Perth, West Australia, p. 34, 3 October, 1999. Return to text. Newcott, B., Bob Ballard finds proof of Noah’s Flood, <http://www.ngnews.com/news/1999/11/111899/ballardflood_7432.asp> 23 November, 1999. Return to text. For example, http://www.religiontoday.com/CurrentNewsSummary/index.html 22 November, 1999. Return to text. Ostling, R.N., Time to relocate Noah’s Flood? Geologists offer theory, Naples Daily News, 23 January, 1999. <http://www.naplesnews.com/today/religion/d321241a.htm>, 22 November, 1999. Return to text. Ryan, W.B.F., Pitman, W.C., Major, C.O., Shimkus, K., Moskalenko, V., Jones, G.A., Dimitrov, P., Gorur, N., Sakinc, M. and Yuce, H., An abrupt drowning of the Black Sea Shelf, Marine Geology 138(1–2):119–126, 1997. Return to text. Loess is a fine-grained deposit that sits like a blanket on underlying strata. It is generally buff coloured, loosely coherent, and without stratification. Return to text. Chamberlain, T., Exclusive interview: Ballard on oldest deep-sea wrecks, <http://www.ngnews.com/news/1999/06/062999/ballardinterview_4059.asp>, 22 November, 1999. Return to text. <http://www.nationalgeographic.com/blacksea>, 23 November, 1999. Return to text. <http://web.mountain.net/~havoc/rational/floodnoa.html>, 22 November, 1999. Return to text. Coates H. and Douglas, W.H., Australian Aboriginal flood stories, Creation 5(1):6–9, 1982. Return to text. Oard, M.J., An Ice Age Caused by the Genesis Flood, Institute for Creation Research, El Cajon, 1990. Return to text. Oard, Ref. 18, pp. 97, 116–117. Return to text. Oard, Ref. 18, pp. 128–133. Return to text. Snelling, A., Iceland’s recent ‘mega-flood’: an illustration of the power of Noah’s Flood, Creation 21(3):46–48, 1999. Return to text.